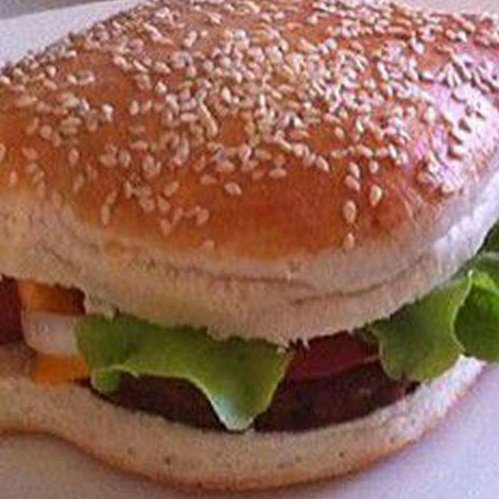 Following the patenting of the world’s first hamburger/hotdog hybrid (with bun to match) we take a look at the world of hybrid food and how it is influencing the dining-out industry. 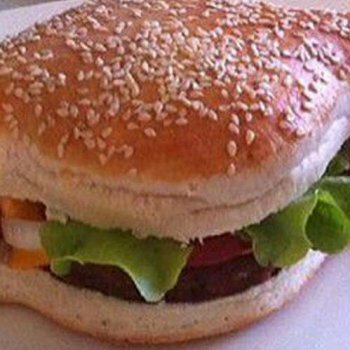 First there was the Cronut (croissant/donut), then there was the Duffin (donut/muffin) now the most recent hybrid food fad is the aptly named Hamdog; a burger/hotdog hybrid with bespoke seeded bun, created by Australian businessman Mark Murray. But is it just a fad? A hotdog inserted through a burger may sound far-fetched, but with food trends going the way they are, will this soon be a staple item on menus around the world? A few years ago, food trends focussed on new flavours and exotic cuisines, as consumers demanded easy access to foreign ingredients in every day foods; sweet chilli crisps became the norm, while baked beans took on Indian spices. However, now the focus is around excess and shock value and social media has played a huge part in this. With such a saturated market and consumer attention harder to maintain, manufacturers are pulling out all the stops to make sure they’re being talked about. Products such as Freakshakes, calorie laden milkshakes with a range of toppings including cream, chocolate flakes, candy and even full pieces of cheese cake, have found an audience on social media before becoming readily available. So what comes first, the product or the demand? Consumers are expecting more, bigger American style portions with extra toppings, sauces and sides. Even the cutlery and crockery is important, with meals being served on wooden boards or in glass Kilner jars; one restaurant has even served a meal in a skip! Food now has to be Instagram-worthy, with consumers and vendors alike grappling for every single ‘like’ and ‘retweet’. Does this mean that the product isn’t even important anymore and can ‘faddy’ products like this actually be commercially viable? Looking at the Cronut, created by French chef Dominique Ansel, it seems to be possible. The donut shaped treat of croissant-like layered pastry filled with cream and dipped in sugar was initially a Manhatten craze which saw hundreds of people lining the streets each morning. However, just a few short years later other successful sweet inventions have followed including the cookie shot (a cookie dough shot glass filled with milk) and the Frozen Smore. Since then, Dunkin’ Donuts and Greggs have coined their own cronut counterparts which are sold nationwide, so not just a fad after all! So it can be done, and with consumers more open than ever to weird and wonderful food trends, now is the time. To make the hamdog more than just a PR stunt, Mr Murray needs to show buyers that there is a demand for hybrid food which can be done through a selection of social media activity and media relations. Horizons’ Peter Backman recently stated, “Successful operators distinguish themselves from their competitors in a number of ways ranging from offering great service, to supplying food with a flourish and an element of theatre”, which is the space which the hamdog can fill with ease.